One of the most enjoyable aspects of The Tao of Tea working environment is its multiculturalism. 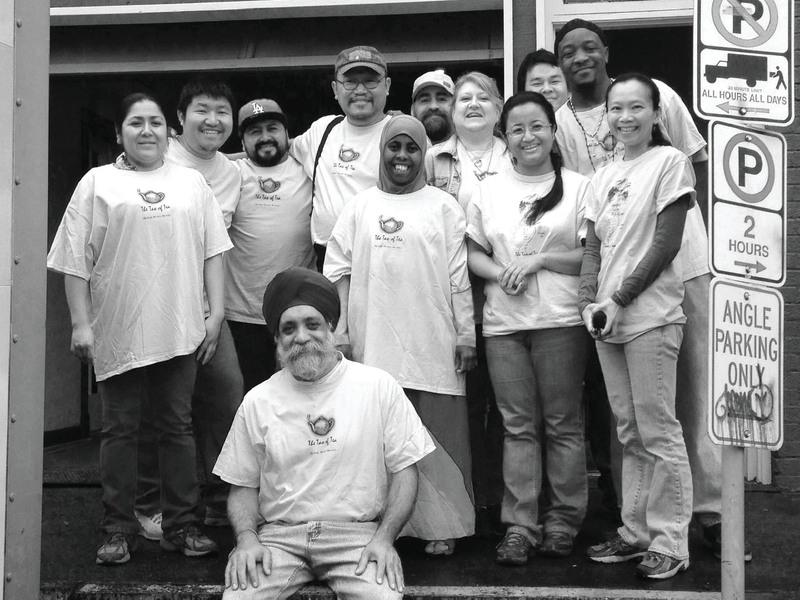 It is a place where Chinese, Taiwanese, Japanese, African Americans, Somali refugees, Caucasian Americans, Nepalis, Indians, Hispanics, and other individuals come together to work, drink tea, share meals and build relationships. We have learned through tea that celebrating diversity and mutual respect are essential rules for workplaces, not the exception. As a company, The Tao of Tea stands against bigotry and any form of discrimination. More than ever, we want to acknowledge the value and power of diversity and denounce actions that promote exclusivity, such as the recently announced travel ban and any rhetoric that divides people on superficial levels. We send good wishes to all and remain an open and inclusive company. 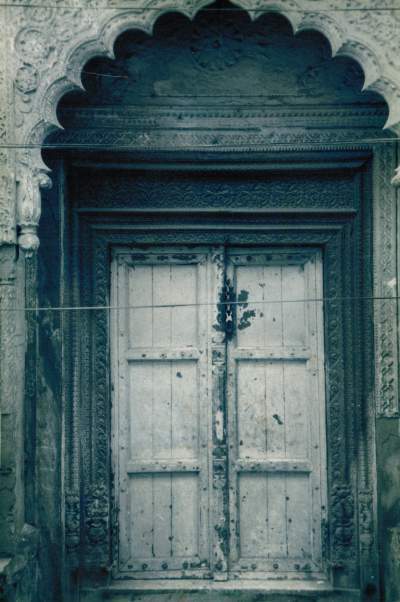 Khurja is a village east of New Dehli, India, known for its 100 kilns and its distinct style of clayware. 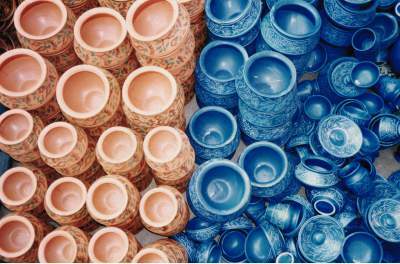 Traditionally, dishes like bowls and plates have been made. 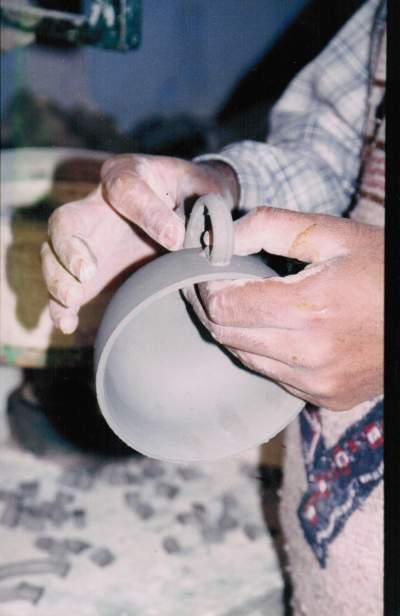 However, in 1997, we began working with local artisans on designs for teapots and other teaware. Veerinder, founder of the Tao of Tea, had much help from his brother Harpreet in the design of this teaware. 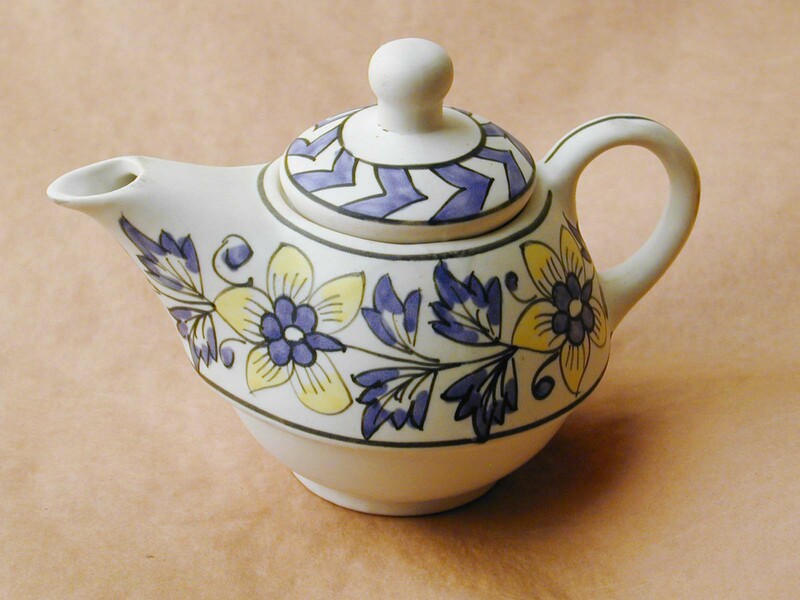 Harpreet worked closely with these skilled Khurja artisans and even drew up some of the patterns and images that are painted and etched into the teapots and cups. 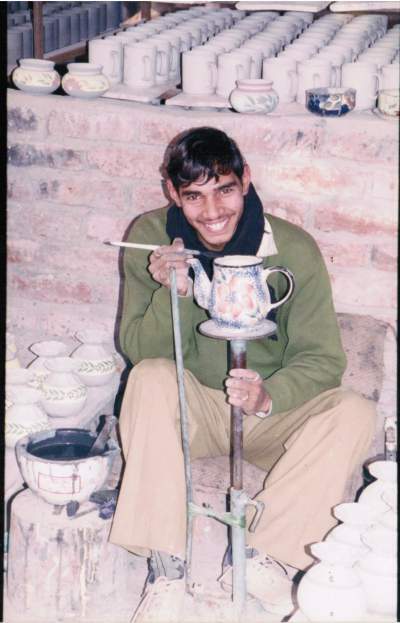 Each product made by the Khurja potters is truly unique and handmade. This means there may be variations from one pot to the next.